WASHINGTON — President Trump plans to use his State of the Union address on Tuesday night to outline a bipartisan and optimistic vision of the country, a senior administration official said on Friday. Mr. Trump is also expected to make an appeal to his evangelical anti-abortion base by talking about the “fundamental importance and respect for human life,” the official said. And he will focus a large portion of his remarks on the importance of ending illegal immigration. But the official, who refused to be identified according to the ground rules of the briefing, framed the speech as an opportunity to change the tone of the current political debate. In his first State of the Union address last year, Mr. Trump also sought to strike a unifying tone that was a contrast to the political attacks and divisive messaging that he is better known for. But the promises in last year’s speech, including bringing Democrats and Republicans together behind a $1.5 trillion infrastructure plan, have not materialized, while the more contentious policies of his presidency have continued. This year, Mr. Trump will address the nation after a 35-day government shutdown caused by his insistence that Congress approve funding for the border wall. 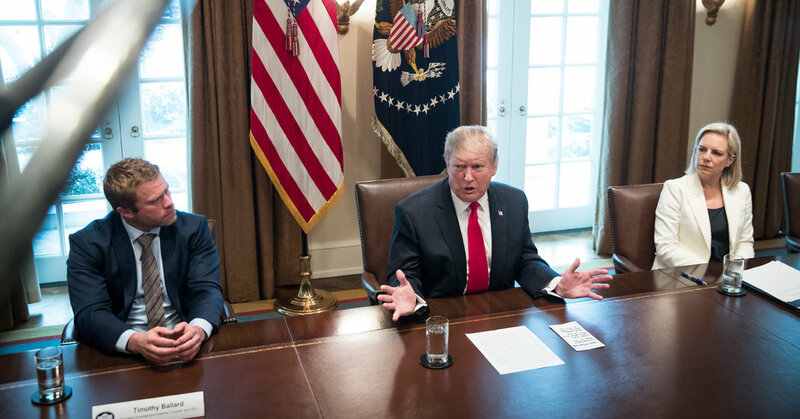 And although the president agreed to three weeks of negotiations to end the impasse, he said on Thursday that the talks are “a waste of time” and strongly hinted that he would declare a national emergency to bypass Congress and obtain wall funding. Last month, in the midst of the shutdown, Speaker Nancy Pelosi told the president she wanted to postpone the address, initially scheduled for Jan. 29, until after the government reopened, and suggested he deliver the speech in writing. Mr. Trump retaliated by grounding the military plane that was supposed to take Ms. Pelosi and other lawmakers on a fact-finding trip to Afghanistan. Then, when Mr. Trump pressed ahead, insisting he wanted to give the speech, Ms. Pelosi disinvited him. But this week she and the president agreed he would give the speech on Feb. 5.